Summer 2014: Collection Reflets d’Été de CHANEL. CHANEL says it is time to play this summer and mix and match summer brights with that of the sand and bronzed skin and I am loving it. The Collection Reflets d’Été de CHANEL features see through shades for lips and boldly bright shades for nails and eyes that take on shimmer to reflect light in such a beautiful way. The pairings seem endless. "It’s a season of colour creativity. The shades of summer add a playful stroke to your beauty ritual, with vibrantly versatile options from Glossimer and Le Vernis Nail Colour. Coordinate shades of gloss and polish to accentuate a bronzed-skin look, or contrast lips, tips and lashes with a bright, shimmery eye for a sweet colour clash." If you are going to pick up anything from the collection, grab the long-wear eyeshadow in Mirage. 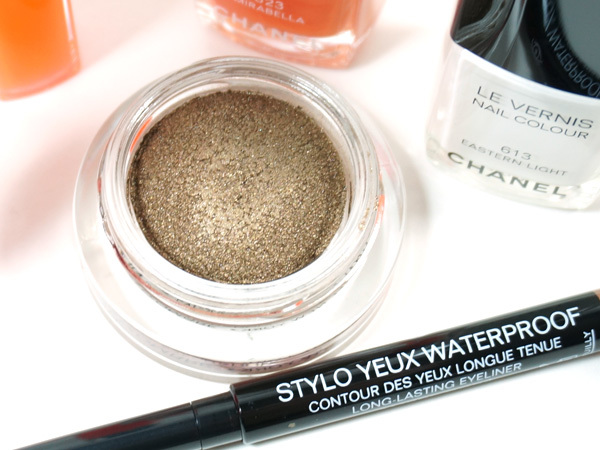 It is such a gorgeous shimmering bronze shade that I know I will be wearing all summer long. 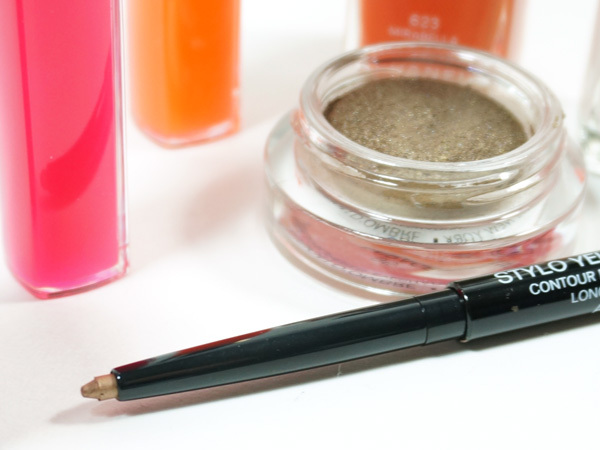 It just glides on so beautifully with my flat shadow brush or even my finger. I like to dab it on with my finger then blend with the brush. It lasts all day with no creasing and Mirage is the perfect all over lid shade that I blend up into the crease. I use a little vanilla shade of powder on my brow bone, place Ambre Doré on my lower lash line and I'm good to go. The jelly glossimers are must haves too. 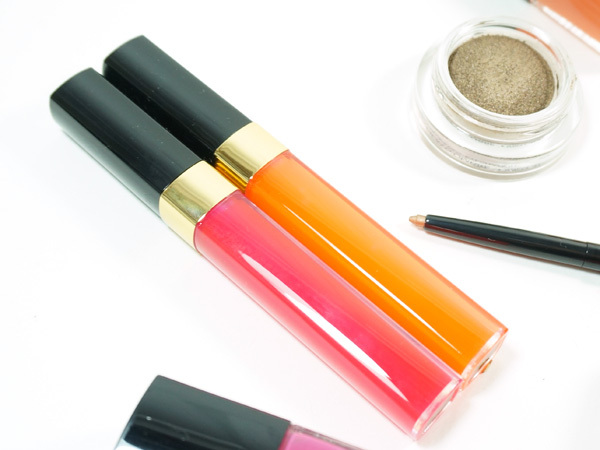 I love the see through quality of this gloss; they are super glossy with barely there pigment on lips so the colors vary slighly. With that said, I really like wearing both Happy and Sunny. For my nails, I think Tutti Frutti is going to be one of my go-to summer shades. It is described as a soft coral, but I don't find that descriptive at all. Tutti Frutti is a watermelon pink shade that may have a coral undertone to it, but it is definitely not a pure coral shade. Either way, Tutti Frutti nail colour is gorgeous. Eastern Light is another one that I'll be keeping. I have nail colour this from a previous collection and I'm thrilled that I was sent a back up because this is the prettiest barely white colour that goes on with no streaks. The white nail trend is back again this summer, so if you're looking for the perfect white, pick this one up. It's fun to use for accenting and nail art like CHANEL used to create this nail art look with the shade Mirabella too. Look for the Collection Reflets d’Été de CHANEL at department stores and chanel.com now.